Lee replaced Randy Rhoads (after his death in Dec 1982) as guitarist in Ozzy’s band from 1983-1987. He appeared on two of Ozzy’s releases; Bark at The Moon and Ultimate Sin albums before going on to form hard rock/metal band Badlands. Lee’s current project is called Red Dragon Cartel, releasing their self tiled debut in 2014 featuring guest appearances by singer Robin Zander of Cheap Trick. 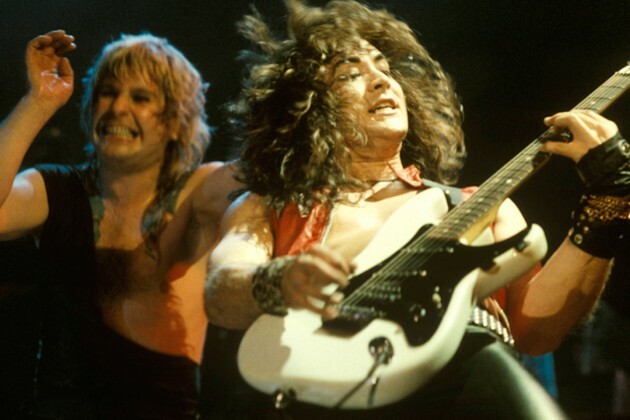 In the clip below see Jake E. Lee live on stage with Ozzy, performing a killer improvised guitar solo to close “Suicide Solution” in 1984.